Three generations of related dummies indicted in connection with poker robbery. A story like this doesn’t come along too often (thank goodness). Three generations of women all in the same family are all in big trouble in connection with the armed robbery of a poker game last September at the Colonial Country Club in Tennessee. Two armed men jacked a poker game taking place at the club for about $16,500 on September 9 when Sheree McKinley, who worked as a waitress there, let them in and eventually drove their getaway car. McKinley’s mother, allegedly tampered with evidence and hid one of the guns used to commit the crime while McKinley’s daughter, Marilyn Jackson, got pinched not for anything having to do with the heist, but for breaking into the club the day before and stealing bottles of liquor. The cops only found that out while looking at video surveillance in search for evidence of the original crime. McKinley faces some serious charges and time according to The Commercial Appeal. She is facing five counts of aggravated robbery, burglary and substance charges and sits in jail on $600k bond. Her mom is charged with tampering of evidence and possession of a prohibited weapon and is free on $20k bond. Finally the daughter is facing burglary charges and is free on $5k bond. The armed men are indicted on completely different charges. No word on if that poker game is still in action. New “coming soon” trailer features pushes personality. Matusow is so excited to get slowrolled! With all the talk of poker lacking personality lately and the importance of ambassadorship, Poker Night In America releases their new trailer with an emphasis on well-known names having a good time. Watch Mike Matusow, Scotty Nguyen, Tom Schneider, Shaun Deeb, Layne Flack and Greg “FBT” Mueller all finding time to be raucous off-the-felt in order to make places like Pittsburgh and Reno look like poker havens. It’s just a short promo video to remind you that PNIA is coming on April 27! PokerNews brings you a chat with Rast. Just chillin. PokerNews is trying something new and they fire up a live streaming Google Hangout with high-stakes mustachioed poker pro Brian Rast. The pair talk about the World Series of Poker, massive cash games of Macau and how Rast lit part of his bankroll on fire learning PLO. A very thirsty Grant asks a bunch of random questions including who Rast thinks is the best poker player in both cash and tournaments and how much money would it cost for Rast to put on 40 lbs. and keep it on for a year ($100k+!). It’s a fun video and good way to kill a half an hour but a minor suggestion would be let’s not put a massive natural light source directly behind the camera. That alone makes this better to listen to than to watch. More jobs for dealers this summer…but hurry! 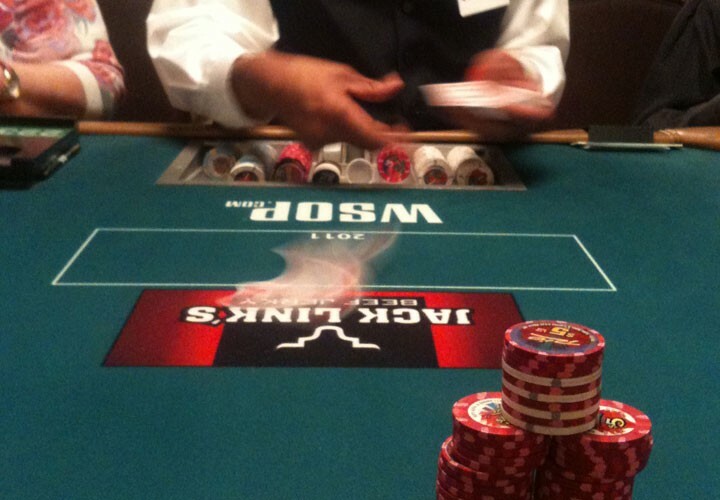 The WSOP widens the talent net for summertime dealers. It’s a great big poker world out there and the World Series of Poker wants the best and the brightest when it comes to their dealer pool this summer at the Rio in Las Vegas. Now they are accepting dealer applications from Austria, Italy and Thailand…as well as still accepting from the better part of the planet. If you know how to pitch cards, do math and put up with one of the grumpiest categories of people on the planet then the WSOP wants YOU. You may have to audition, but let’s face it, when it comes to being a dealer – this is the big show, the main event, the Oscars of card games (we threw that in for SEO purposes). So, don’t sit there and wish you could get berated in over 30 languages – GO GET berated by the international poker community by becoming a dealer at the WSOP. It’s like summer camp for degenerates and what could be better than that. See you there! Kid Poker peels back the curtain…but just a little. Is there a Phil Ivey name drop in this one…you best there is! Check out Part 6 of All In Magazine's sit down interview with poker professional Daniel Negreanu. In this cut, Ryan Johnson asks DNegs to tattle a little about tells and how he got so good at hand reading. Negreanu, who many poker enthusiasts think is one of the best at soul reading what your hole cards are, says that while he likes to verbalize his thoughts, all the pros are doing the same thing. Narrowing a hand range and making a decision on that is second nature to top tier pros like DN. Additionally, he opens up about one of the biggest physical tells he finds in most noobies – let’s just say you should watch where your watching because the pros are watching what your watching too. WPT Super High Roller Champ confirms he’s stepping away. 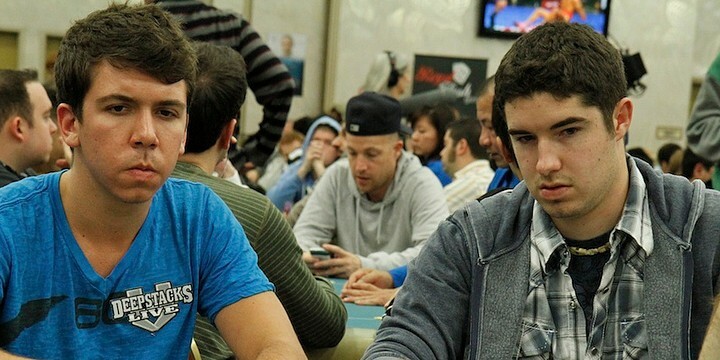 In a brief exchange on Twitter this week ESPN featured poker professional David “Doc” Sands confirmed that he was, “to a certain extent” retiring from poker. The one-time World Poker Tour Super High Roller Champion boasts over $5.7 million dollars in lifetime earnings and the ability to have talked Erica Moutinho into marrying him. Sands, replied in the affirmative noting that he’s traded in his poker card for a stint at a hedge fund. So while you may not see Sands putting in the volume he used to, poker is one of those things that just when you think you’re out…it pulls you back in. So, perhaps we’ll see him again. 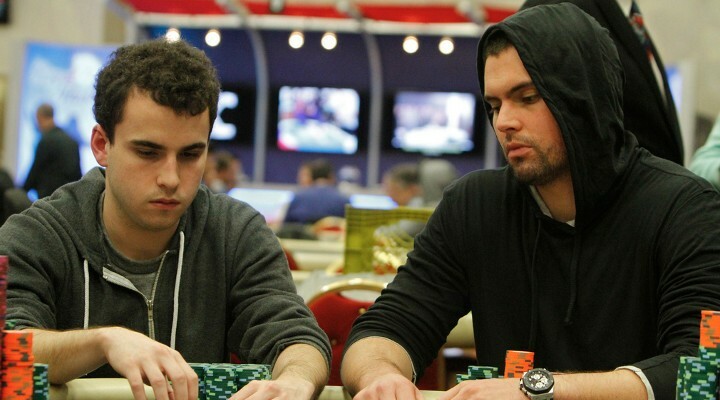 It was just a couple years ago that Sands was named a “One To Watch” by the WPT. New promo video touts the off the felt action of poker. Part of the appeal of poker is the devil-may-care lifestyle that is often associated with it and the World Poker Tour knows this. In their latest promo video for the tour, they show you everything that a life on the poker circuit can be – without the poker. Video games, water sports, indoor skydiving and Michael 'The Grinder’ Mizrachi getting all up in your grill are highlighted as events that can be yours…if you just ditch that 9 to 5 and follow the World Poker Tour. Adelstein find himself drawing dead after 1 episode. An embarrassed Garrett gets voted off the island with immunity in his pocket. 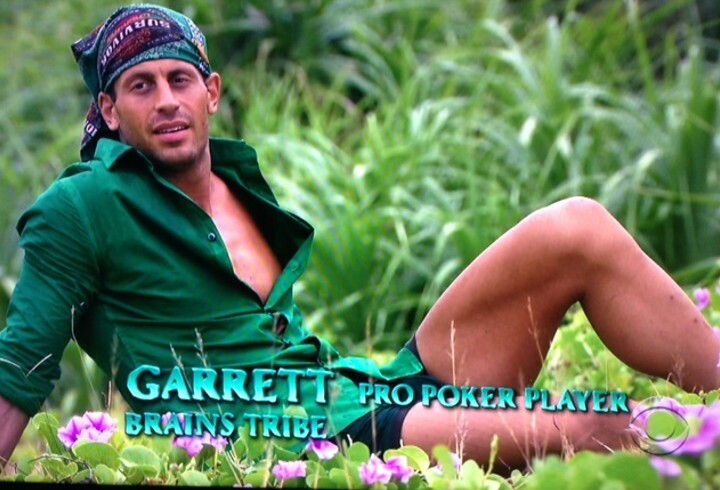 Garrett Adelstein, the high stakes poker pro who was cast as a part of the “Brains” tribe in the current season of the popular CBS television show Survivor, has busted from the tournament. In the season premiere, everything looked like it was going Garrett’s way: He voted off his first nemesis, Miami Marlins President David Samson, and he found the hidden immunity idol right off the bat. But while he may have liked his hand, the turn and river had yet to be seen. 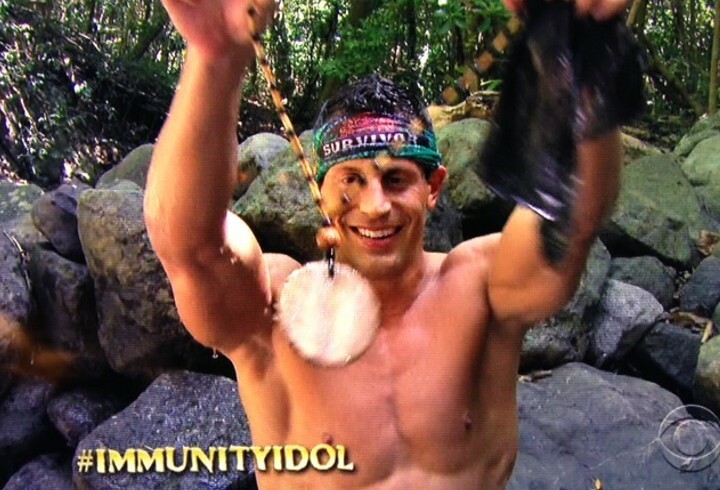 After a series of underwhelming performances by his tribe in the challenges, the “Brains” were forced to go to Tribal Council to get rid of a second member. Adelstein made a few ill-timed decisions and perhaps got a little too loose-aggressive with the table talk, which found the majority of his tribe turning on him. Even though he had the idol, he was ousted. Jean-Robert Bellande breathes a little easier tonight knowing he’s still the current poker king of Survivor. Authorities fished out $100,000 in fake chips from a lake. On the heels of the Borgata “chipgate” snafu, here’s another story of a casino dealing with counterfeit chips in the mix. According to D.C. Crime Stories, a married couple is accused of passing thousands of dollars in fake chips at the Maryland Live! Casino in Hanover. The story goes that Rosa A. Nguyen and her husband, Vuong Q. Truong purchased $150,000 worth of fake chips off the internet for $12,000 real money and then altered those chips to look like they belong from the Maryland Live! Casino. They reportedly, along with another couple, passed $100 chips on a couple of occasions, which alerted authorities. In an effort to dispose of the evidence, it appears they took the unused chips and dumped them in a lake near their own home but… “Fortunately for police, the chips floated,” said a Maryland State Police spokesman. The cops recovered $115k in fake chips and now the couple is charged with a theft of the amount between $1,000 and $10,000 as well as conspiracy to commit more. 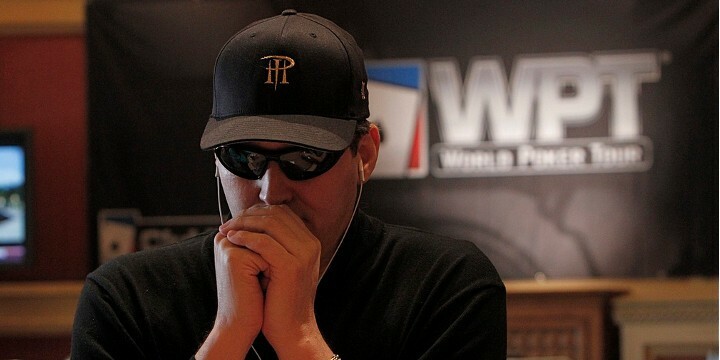 Hellmuth flip flops on his GPI stance once he gets a little education. After yesterday’s dust up over comments by Phil Hellmuth “not respecting” the Global Poker Index, Alex Dreyfus, purchaser and head honcho of the player ranking formula, took to his blog to set the record straight. Dreyfus openly admits that while he’s happy that the GPI is getting the “poker mainstream” attention he feels it deserves, having Hellmuth bash it in public is not ideal. I have to admit that having a tweet from the “Greatest” poker player in the world made my day and ruined my night. It is funny that when you put so much effort in to your baby, your business, and something you believe in, you feel disappointed and hurt when someone attacks your enterprise. Luckily we live in a free world and obviously, criticism is always good. Of course, he points out that Hellmuth’s major criticism is flawed, as the GPI downwards adjusts high-rolling buy-ins to a 20k max. That said, he’s all about watching the GPI evolve so, in his eyes, he can better promote the game of poker. For Alex, that’s his major goal. While his blog is pretty well written and explains his position and eagerness to engage in conversation well, he also puts a fine point on the predatory nature of poker and his desire to see it be profitable for the pros. The more we promote poker, the more new players will join the game at the tables. The ecosystem need new players (both online and offline) to allow the good, the best and greatest players to make money from the game. Talks With All In about TV tables. Part five of All In Magazine's fireside chat with Team PokerStars Pro Daniel Negreanu. What’s on tap this segment? TV tables. Daniel talks about playing poker on TV and the effect it has on his opponents. He knows that while he is absolutely fine with the camera rolling, fear of being the fool terrifies some people…so he uses it to his advantage. Yap, yap, yap…Daniel talks himself right into gaining an edge against his uncomfortable foes and he says – that’s his job and all a part of the game. Take the time and check it out – the content starts 30 seconds in. Because what your Tuesday needs is another bad beat story. Our resident bad beatographer, Pat Lyons, stealth snapped a picture of his own hand as he was deep in a daily at Oakland’s Oaks Card Club. Here you have a couple all-ins, with both players holding Pocket Kings…but the Ace of Hearts on the river sent our hero to the rail. Before they could ship the chips and wash the deck, Lyons snapped a shot for the Bad Beat Diaries. Grab a good shot of a sick beat? Let us know and we’ll paste it in the scrapbook because everyone loves to hate a good bad beat. One of the biggest beneficiaries of FTP remissions ready for a windfall. Darryl Fish (left) sits with Hinkle…the soon to be millionaire. It was almost three years ago that World Series of Poker Bracelet winner Blair Hinkle chopped up, and took the lions share, of one of the biggest online tournaments at the time – FTOPS XIX $600 Multi-entry Main Event. The poker professional negotiated a final table deal which awarded him over $1.1 million dollars – which got trapped online when Black Friday hit. He served as a poster boy for all the victims of the Ferguson/Lederer/Bitar Full Tilt incompetence and “ponzi scheming” by becoming a virtual millionaire with little to no recourse to receive his potentially life-changing payday. Finally though, with the announcement of Full Tilt payments coming this week, as reported by pokerfuse, Hinkle will finally be able to make it rain. Congrats to Hinkle and all of the US accounts that will get a little boost to their bankroll this week. That’s right, Hellmuth played the “egalitarian” card. The GPI formula has a buy-in cap of $20k, so a $100k buy-in only counts as a $20k and the GPI only includes events that are open to all players. A buy-in cap is applied at roughly the 99th percentile of qualifying events to ensure extremely high buy-in events do not skew the overall GPI score. For any event with a buy-in larger than the buy-in cap, the buy-in cap is used to calculate the score rather than the actual buy-in amount. Administration to determine the cap on buy-ins is performed one time per year. The buy-in cap for 2014 is set at $20,000 USD. Apparently, the GPI ranking system isn’t the only one that takes into account big buy-in tournaments. According to Daniel Negreanu all of the major Player Of The Year ranking systems count them, but with the Global Poker Index quickly rising to become the premiere ranking system in the industry, perhaps there’s some tweaking that can still be done. If so, GPI boss Alexandre Dreyfus is open to suggestions. What do you think? What’s the highest buy-in amount that should be counted in a poker ranking system? Plus valuable advice about what to do with A3o. Finally though Stern finds that the hardest part about being a poker pro is the constant battle to keep getting better and defend yourself against the maneuvering of others. All of that plus advice for new players and quite possibly how you can earn your way to $1.8 million dollars in lifetime earnings in the latest installment of Seat Open. Liv Boeree's hand modeling days may have to take a back seat after she apparently stuck her finger somewhere it didn’t belong. Aside from the green nail polish, there’s something seriously wrong with her middle digit and so it’s off to the clinic to clean that bad boy up. Not sure if her day of arts and frolicking at the beach had anything to do with it. Myers is planning on approaching Late Night like poker – he came to win. Tonight starts a new era on late night television in the United States as former Saturday Night Live anchor Seth Myers takes over the Late Night slot right after new Tonight Show host Jimmy Fallon does his thing. If you are into that sort of thing, meaning late night comedy/variety, here’s a reason to root for Myers – he’s a poker fan! In fact, it was just a few years ago that he won the 3rd season of the Bravo TV Celebrity Poker Showdown. 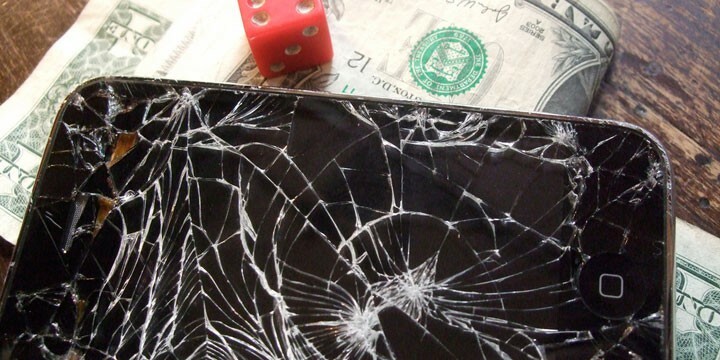 Survey asks players where they’ve played a mobile hand of poker. Simon Cowell would not be pleased. Team PokerStars Pro Jason Mercier was back in the comfy confines of his beloved Florida this weekend and in a rare good mood while out on the high sea. So much so that he’s doing some selfie signing for the camera in his latest video. Apparently, Mercier fancies himself a One Republic fan. Go figure. Top pros stop being polite and start getting real in new video. Of course, all of the young stars love the action of poker and the freedom it gives them and as far as why they are all on the prestigious list – none of them really seem to know. If you don’t know some of these players, check out this short video. Check out Titan Poker's new “Poker Bible” project where they take elements of the Holy Bible and pokerize it. Everything you can think of has a poker twist, including the tales of Noah, Cain and Abel and the Ten Commandments. If you like to get a laugh (or a scoff) at something sacred getting a ton of poker references, then read about the poker gods after the jump. Taking online hands and bringing them to life. This is either so bad it’s good OR so bad it’s bad…we think the latter. There’s no sugar coating this video – it’s part of the WTF files. Best we can tell, 888poker has taken some seemingly random hand and then produced a video recreating it live. This includes all of the generally horrific play and decisions that come along with it. This particular video has so much bizarre fanfare it’s hard to list it all…so look, it’s Monday morning, who wants to start work quite yet… instead, spend under 2 minutes watching this video and you tell us (if you want) what the strangest part of this video is. Bonus points if you can guess who WE think two of the players look like: hint – one is a well-known professional NFL (American football for our international friends) player and the other is a former WSOP final tablist.